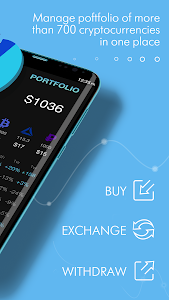 Indacoin for Android is a reliable exchanger and trading platform, which offers the services of buying, exchanging, selling, and also withdrawing cryptocurrency. Indacoin provides the customers with more than 700 varieties of the most popular cryptocurrencies, among which are bitcoin, ethereum, dash, waves, icon, binance, ripple, eos, neo and others. Indacoin has been working with clients all over the world for more than 4 years. ?Simple registration. 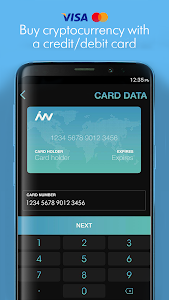 In order to start using the Indacoin application, you do not need to waste your time on registration - it's enough just to verify your phone number. ?Convenient purchase. To buy bitcoin, ethereum, neo or other altcoins, you can use your Visa or MasterCard, issued in almost any country in the world. ?Fast verification. 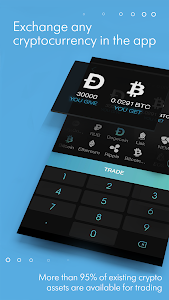 For convenience and safety of use, operative verification is provided for the purchase of cryptocurrency. ?24/7 Support. At any time, our support service agents are ready to help you with the transactions, as well as to consult on any other issues. 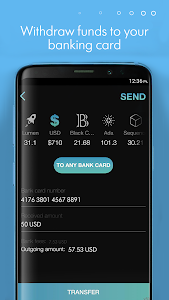 After installing the app, bitcoin wallet is created automatically for each client, and you can buy or get cryptocurrency, exchange it for one of over 700 altcoins, and also withdraw it to another crypto wallet or even to a banking card. 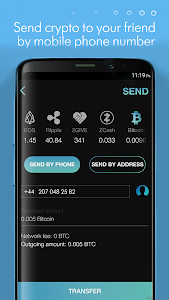 Moreover, you can send bitcoin, ethereum, binance, or other cryptocurrency by phone number if your friend, colleague or any other person who you need to send altcoins to has an Indacoin application installed. Otherwise, an offer to join Indacoin will be sent to him. 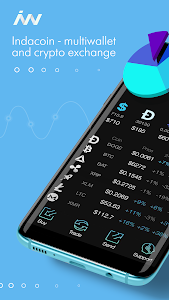 Indacoin app for Android will help you to be always at the center of the crypto world events, store all your altcoins in one place, and also have a stable income from exchange of bitcoins or other crypto, buying and selling them. In the transaction history, you can see the percentage of the profitability of an operation at any given time. The diagram on the main page allows you to understand the approximate distribution of assets in the portfolio. In a current version, we completely redesigned the app and improve app stability. Please update the App and enjoy! 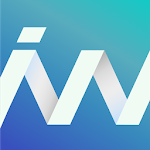 Similar to "Indacoin Crypto Wallet - BTC, Dash, EOS, Waves"